Why are Operators so Terse? Do You Know How to Contact Metro Transit Police? 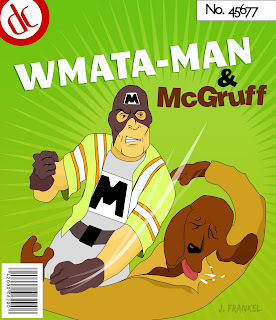 What Does it Take to be a WMATA Man? "Oh, and this will all change once we upgrade to Windows 3.0. Thank you for choosing Metro." My bus driver spoke to a passenger standing in front of the yellow line the entire time I was on the bus. 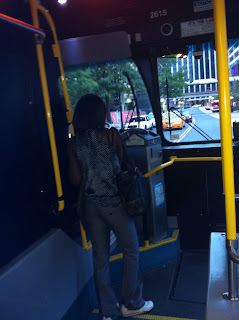 He overran one stop, and the passenger had to run to catch the bus. This takes place the day after the findings of Metro Red Line crash. It seems Metro has a long way to go. 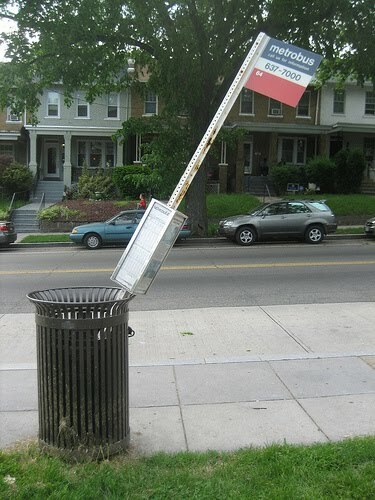 If a Metrobus customer feels their bus is being operated unsafely, we ask that they contact our Customer Service department at 202-637-7000 or online at www.MetroOpensDoors.com and include a bus number (four digit), date and time so that we may take appropriate action. 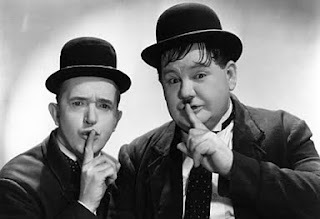 We would never discourage customers from sharing their experiences on blogs, however, a direct report from a customer to our Customer Service department, rather than a second hand report via a blog, is important to the investigation and to any disciplinary actions that may need to be taken as a result of the investigation. There were a lot of words written about the NTSB's resphinctering of WMATA during yesterday's hearing, but there really wasn't a whole lot revealed that Metro riders didn't already know in their guts. Metro is sick, very sick. Anyway, we think this sick passenger eloquently sums up Metro's performance before and after 6/22. Remember all those times cursing the "sick passenger?" He's finally doing a ... err... solid. PS. Good luck in those 2000-, 3000- and 4000-series cars. 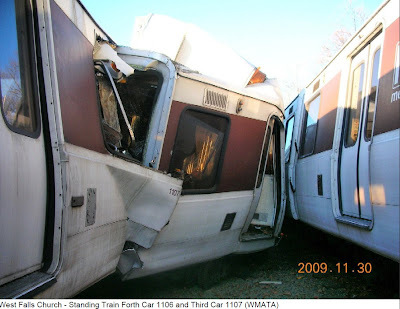 The NTSB said they aren't much better than the telescoping 1000-series cars. Good job, Metro. -- Door problems. How much anger and despair have been born of Metro’s maddening cascade of door problems? How can it be that, more than 30 years on, Metro still hasn’t figured out how to reliably open and close its doors? Door problems may be the single biggest fail of the Metro system, and yet the agency has had virtually zero to say about this issue. -- Automatic Train Control. Following last year’s fatal Red Line accident, Metro dumped automatic control of the trains, and it has been a rider disaster ever since. For reasons that aren’t clear, the system simply staggers under manual control, in a way that was never seen when the trains were forced into manual operations about a decade ago. Again, Metro has said virtually nothing about this collapse. -- “Bellying” the 1000-series railcars. 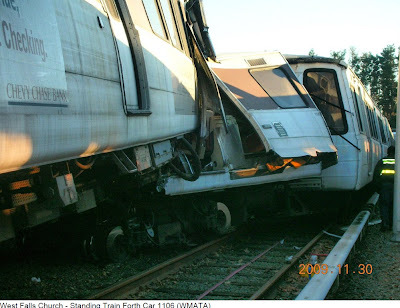 After the fatal accident, Metro reconfigured trains to put its oldest railcars in the middle of trains, because that accident, and others, showed the cars ride up on top of each other in a collision. Was bellying just a gimmick? Has it actually made braking and maintenance problems worse? Once more, Metro has had little to say. Thus, these public record requests are an attempt to pry out of Metro information that is of vital interest to Metrorail riders, as well as the hundreds of thousands of non-riders whose daily lives are also affected by what Metro does or doesn’t do. Given the stakes, we’ve asked for expedited treatment of the request. Keep watching this space – we’ll provide a count-up clock to let you know how long it’s taking Metro to respond. Metro has said it’s committed to being more open, so we hope the agency will pony up the records without delay, in accordance with its own policy. But here’s a prediction: Don’t hold your breath. If history is any guide, Metro will delay, stonewall and temporize, throwing up all manner of obstacles to avoid disclosing the information. What should take weeks will drag on for months and maybe even years. So how about it, Metro? Apparently, it's not a hot car. From the back of a recent Express. Metro certainly has its share of "problems, curses, constant failure, blocked ways, bad luck and bad karma." Maybe they should attend next time. Is there something in the air at Bethesda these days? *Some of the movements shown in this video should only be performed by professionals. Please do not attempt during your own commute, no matter how tempted you might be. 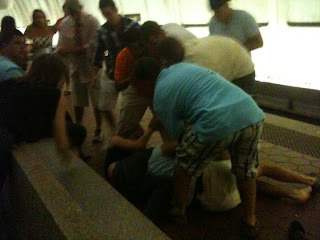 We hear a lot about fights at Gallery Place, but according to two readers, there was very bad melee at the Bethesda Metro station early this past Sunday morning, which provided some scary moments for onlookers and a Metro operator as well as long delays for people already on the trains. Basically, a large group of kids began shouting insults at each other. 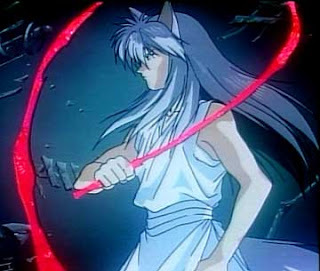 The words turned to shoves and the shoves morphed into a full-blown fight. Bethesda: An altercation ensued between several individuals resulting in unauthorized persons entering the right of way on track #2. Train 103 is currently holding on track #2, power is de-energized on both tracks. MTPD are on scene. This one guy got knocked down in front of me and turtled up (face down covering his body and head with his hands). The guy who knocked him down proceeded to knee him in the skull. Then, another two douches ran up and soccer kicked and stomped him in the head. It sounded like a watermelon getting hit by a sledghammer. Anyway, the guy who got kicked in the skull rolled over and started twitching. His eyes were rolled into the back of his head. He started convulsing a bit, and finally, about four or five minutes later, someone came to help him. He tried to stand up, but couldn't because of his injuries--possibly a concussion. The fighting continued among others. People started screaming. Most of the fights paused, but some douches kept fighting. The guy fell right in front of me. People were screaming at him to get back on the platform, but every time he got up, he fell over. He was too hurt to figure it out. Two other bystanders and I started running toward the oncoming train on the platform. The tunnel where the train was coming from is curved, so I knew it could have been really bad. The driver could easily miss what was going on and not be able to stop in time. I started screaming and jumping up and down yelling at him to stop trying to create a huge profile by bouncing around. The other guy with me did the same. I didn't want to get too close to the tunnel entrance because I didn't think the operator would see me in time, so I tried to stay closer to the kid on the tracks. The guy in front of me moved up a bit. At first, the driver kept going and, for a split second, I didn't think he saw us. Then, I saw the driver get this horrified look on his face and jerk his brake lever and the train began to stop. It stopped about 2 feet from where the injured guy and those trying to help him were. The driver was freaking out, and I leaned in his window to tell him what happened. The others finally pulled the hurt guy out of the tracks. 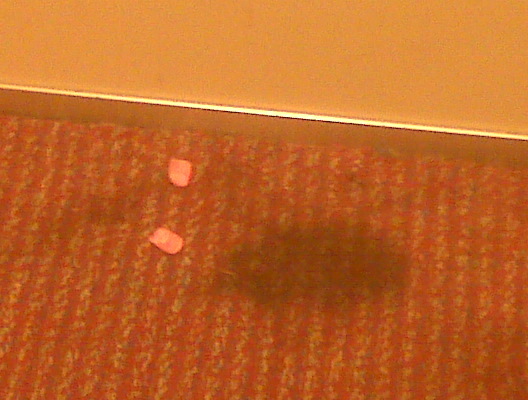 Then all hell broke loose as another three fights erupted. Meanwhile, not a single cop had shown up yet. Not even one. Elapsed time: about 30 minutes. Finally, a Metro worker sprinted up the escalators to get the police. Fights were still going on, and it was getting worse. Finally, I saw a cop about 45 minutes after this all started. The train was still paused halfway on the tracks, halfway in the tunnel. Its power had been shut down, and all the passengers in the train were stuck. The cops were yelling and telling people to sit down. Shirts were ripped, and people were walking around bleeding and yelling. Girls were trash talking like it was a night at the Jersey Shore. Finally, about an hour into it, the track inspection was done, the train powered up and started slowly inching toward the end of the platform. 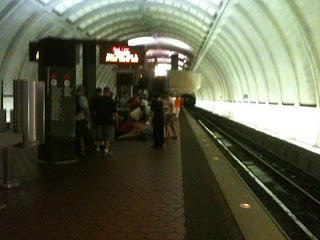 I left Metro Center1:30 a.m., after a midnight movie headed toward Shady Grove on the Red Line. Upon approaching Bethesda station, a barely audible announcement was followed by the power being turned off on our train. Apparently, there was a teen scuffle in the station and, for"safety reasons," the decision was made to cut the power and detain us. It took several Metro police approx 45 minutes to secure the station, and for us to be let out of the dark, stuffy train. 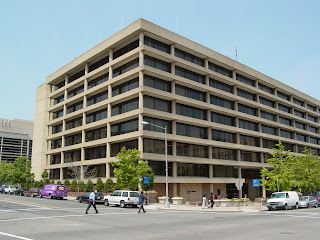 The Bethesda police station is across Wisconsin Ave., but they did not respond. I believe they would have handled the situation more efficiently. Riders often comment positively when they have a communicative operator. Riders seem to particularly like operators who inject a little humor into their announcements. Anything that makes Metro slightly more tolerable, right? But ... while these operators often make riding Metro a little more pleasant, a source familiar with Metrorail operations says some driver announcements may actually be dangerous because when the operator is on the PA, they are cut off from Rail Operations Control Center (ROCC) and could potentially miss vital information about track or train malfunctions. In our discussions with WMATA, they have indicated that speaking over the public address system limits the operator's ability to monitor their radio link with the Rail Operations Control Center, and that while having a cheerful and talkative operator may improve the riding experience, their first priority is ensuring consistent and timely communication with the ROCC. Therefore, they ask their operators to limit their PA use to essential communications only. ROCC is the 'air traffic control' of the Metrorail system. The control center could put out a warning about a potential hazard, the presence of workers in the track area, a change in the operating environment or even an order to offload the trains at any time. Therefore, a train operator needs to be linked up with Central regardless of whether they're moving their train or have it stopped. We want the Operator to inform customers of any delays (We Stop, We Tell) and to be cheerful sounding. We also want the announcements to be concise. All Metro train operators are required to carry a portable radio which is not affected by the PA system. Also, the console radio installed in the rail cars takes precedence over the PA system. Bassett added that the TOC "is not aware of specific instances of discipline [for loquacious operators], but we do know that WMATA's supervisors evaluate train operators on a number of performance metrics, one of which is the quality of their passenger communications." This flyer was being handed out at the Dupont Circle Metro station this morning. It claims Metro could save almost $11 million a year by hiring outside escalator repairmen rather than keeping the job in house. 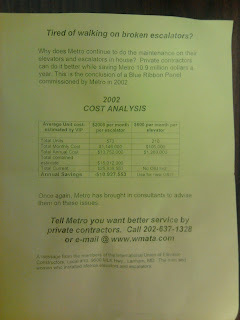 The flyer cites a 2002 "Blue Ribbon Panel" that was commissioned by Metro. 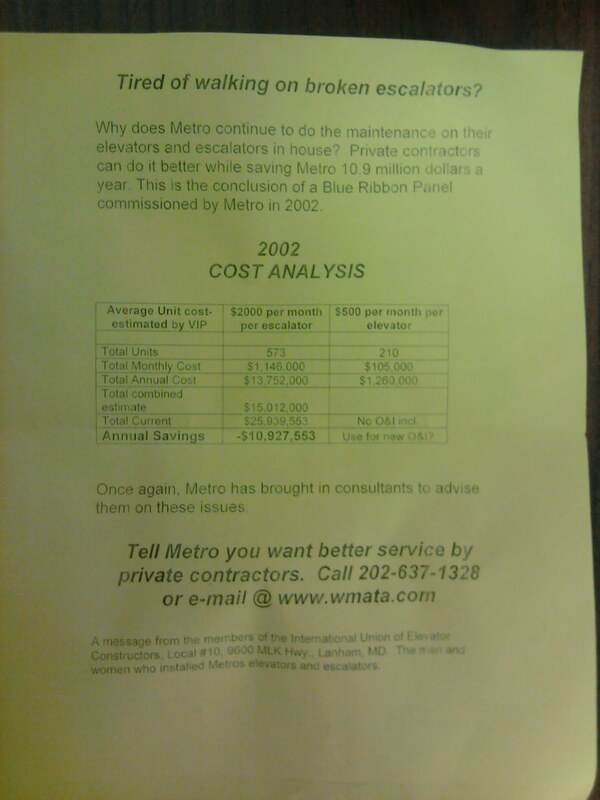 Furthermore, the makers of the flyer seem to disagree with Metro's decision to bring in consultants again. At the bottom of the flyer, it says it was produced by the International Union of Elevator Constructors Local #10 ... "the men and woman who installed Metro's escalators and elevators." As a point of reference, the numbers cited in that leaflet are questionable. in FY2004 we paid contractors $18M to maintain 497 units. Using the FY2004 figures you could estimate that Metro would pay at least $31M to contractors to maintain the total number of elevators and escalators we support, 863 units. These costs do not include the management and oversight costs (Management, EOC, inspections, etc.) which are absorbed in the operating budget, and they would not gain the economies of scale that bringing the work in-house gives us. Additionally, For the last three years, an outside contractor has maintained the vertical transportation at Dupont Circle and several other stations. On July 1, Metro began transitioning the escalator maintenance program back to an in-house program to improve operation after analysis showed that Metro personnel’s response time was 36% faster than contractors. Five maintenance employees recently received certification as master escalator technicians. These employees will focus on conducting maintenance inspections that proactively identify maintenance issues, reducing instances of units going out of service unexpectedly. 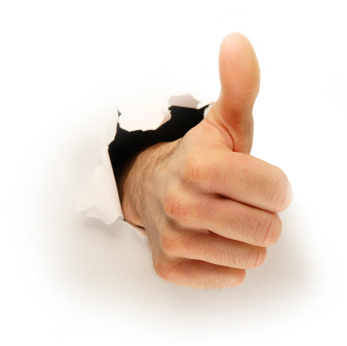 The added benefit of doing the maintenance in-house is that we control the scheduling and the cost. If we used outside contractors, we would compete for maintainers and other resources with every other escalator/elevator owner in the region. Bringing the maintenance in-house made sense when we began the shift in 2004, and despite recent issues, it makes sense today. The NTSB has released photos from the Nov. 29, 2009 collision of two 6-car trains at the West Falls Church Rail Yard. Metro said three, $3 million rail cars were damaged beyond repair, and all twelve cars sustained some damage. Here's Metro's press release on the collision. Good thing those were empty trains. If you work in the Chevy Chase Bank marketing department, we'd like to know if you got your money back. Hot Cars are Repaired Before Returning to Service. Really? 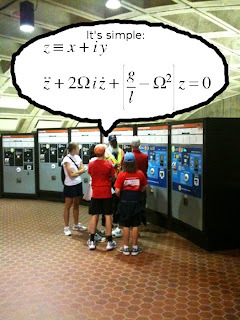 Photo courtesy of @metro_man who runs the wtfmetro blog. 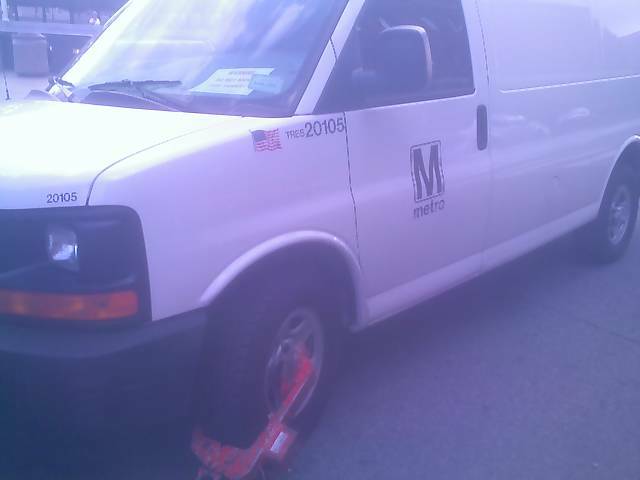 So, Metro told the DC Paratransit blog that cars with broken air conditioning are "removed from service where they are inspected, tested, and repaired before returning to service." Wonder what happened to ol' sweatbox #1030? 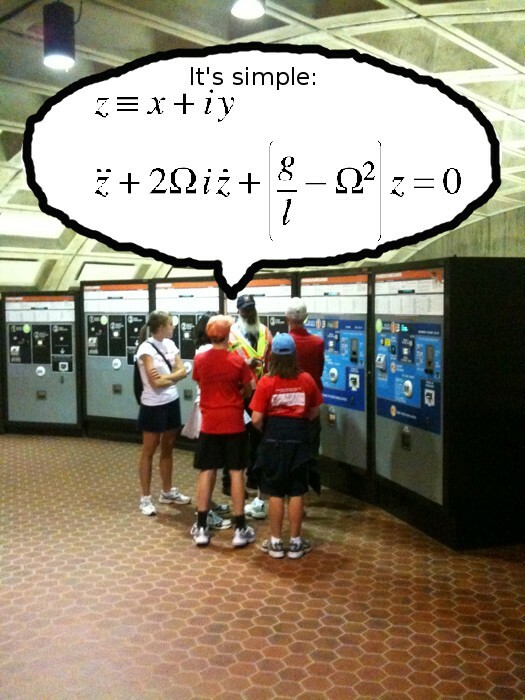 Maybe WMATA just missed this one. Or maybe WMATA should come up with a "repair" that lasts more than a few days. 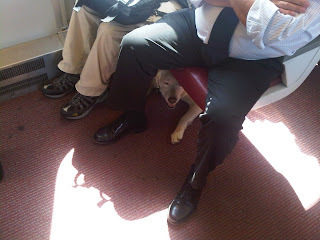 Or maybe WMATA should just be a little more honest with riders. 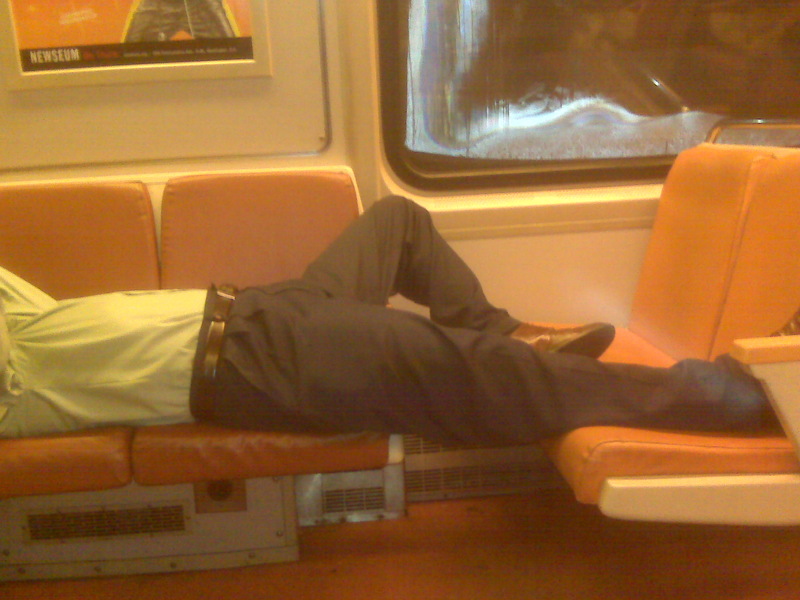 Remember when a corpse was left to ride the rails despite WMATA's claim that they inspect the cars before sending them out? Again, we urge you continue tweeting "#hotcar car number @metroopensdoors." 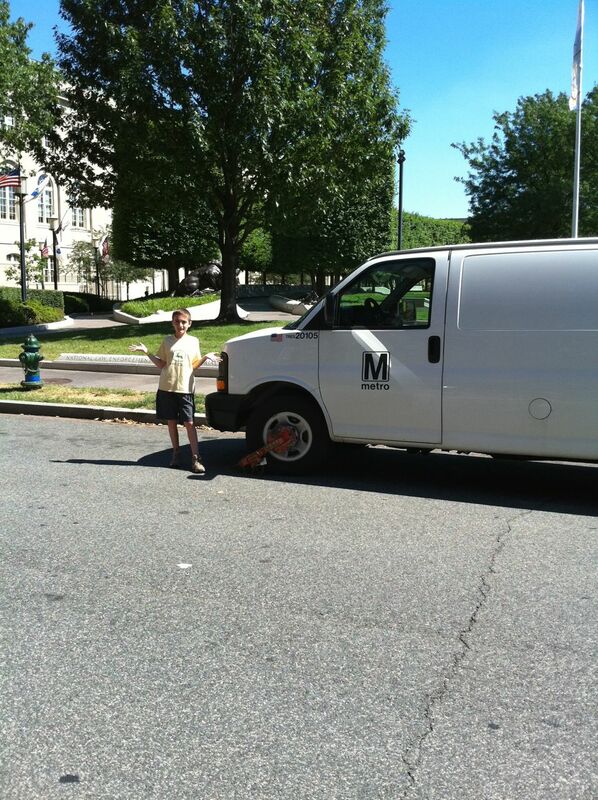 Some have noticed that @metroopensdoors hasn't tweeted a service disruption since July 10. We certainly know that there have been several, including a major one today on the Orange Line because of our good friend smoke. Thanks for bringing this to my attention, we are looking into it. Twitter is over capacity at the moment so I can’t even get in. According to their status though, there have been a few API errors the last couple of days. 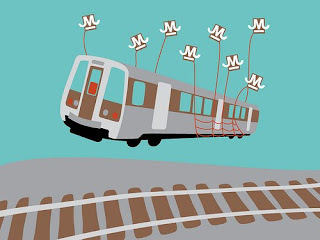 @metroopensdoors is the official WMATA Twitter account and has 4,668 followers. 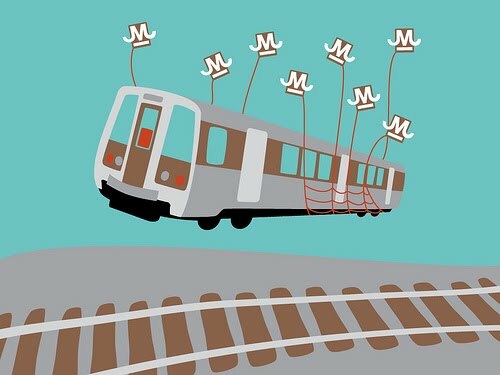 @wmata, an unofficial feed, has 4,118 followers. 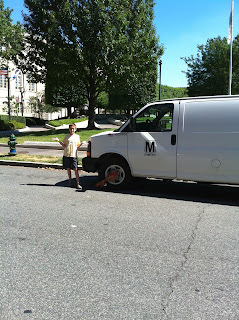 From Tyler: I was visiting DC for my college orientation, and on the way home, we found this. 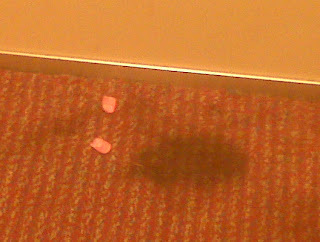 Oh, and the smell verified the note. Metro seat cushions are repaired by an outside contractor. In calendar year 2009, Metro repaired approximately 19,000 seat cushions (seats and backs). Due to the competitive bidding process required to obtain these contracts, we are not able to provide a dollar amount. That Metro won't reveal a price tag is telling. A rough calculation would say that there are about 150,000 wee pads cushions in the system. Multiply that by what you think it would cost to repair one (remember, this is Metro), and you come up with a pretty large number no matter what. Please, please do NOT put cloth seats in the new cars, Metro. The Sierra Club thinks Metro is dropping the ball in making the phone number for the Metro Transit Police inaccessible. Below is the full text of a letter they sent to interim GM Sarles. Sierra Club is strongly committed to strengthening the Metro system and transit in general, and to promoting transit ridership. We recognize the importance of safety, and of public confidence in the safety of our transit system. Year after year, we have consistently advocated for increased local and federal funding of Metro, to help ensure that it has the funds necessary to operate effectively, efficiently and safely. One simple, but important step we believe Metro needs to take is to make the public aware of how to contact the Metro Transit Police Department. It is our understanding that, currently, no visual or audible information on how to contact the Metro Transit Police Department exists on any bus. A cryptic announcement encourages riders to “contact the appropriate authorities.” There is no, or next to no signage in any rail station or on any train. There are no announcements on any train. Public announcements providing the phone number, 202-962-2121, are heard in rail stations. Cheverly Metrorail station staff locked up the station prematurely on Tuesday, June 29, resulting in two riders being locked inside. This incident followed a similar one on September 25, 2009. 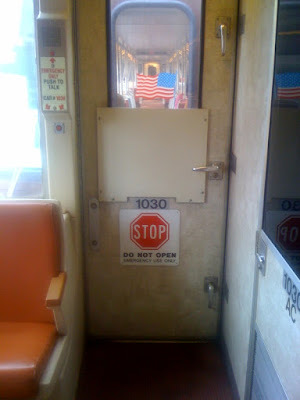 An elevator at the Cleveland Park Metrorail station carrying one adult and four children on Monday, July 12, 2010 got stuck for 40 minutes. An individual not employed by or affiliated in any way with Metro allegedly drove a Metrobus on July 9, 2010, ending when he crashed into a tree and several cars. We believe that while riders are on buses, in rail stations or on trains, they don't have a clear understanding as to whom they should contact for police matters. Consequently, we believe that the public is contacting the police less than is warranted, and that when the public does contact the police, there may be unnecessary delays. On December 13, 2006, the Metro Riders' Advisory Council Bus Subcommittee and Rail Subcommittee each voted to urge Metro to produce visible signs and audible announcements on buses and trains and in rail stations informing the public of the phone number to contact for police matters. At that meeting, Metro Transit Police Department Lt. Brian Heanue indicated that the vast majority of reports received by the police department come from Metro staff to whom the public submits information, rather than from the public directly. Lt. Heanue also indicated that the Department would welcome receiving more reports directly from the public. Metro staff did prepare a mock-up for a sign to be installed in four places on each rail car. That mock-up follows this letter. No signs were ever installed. One possible reason for Metro's inaction is the ongoing debate over how many phone numbers Metro should provide for the public to contact the agency. But the Metro Transit Police Department, fortunately, has affirmed the value it places on hearing from the public directly. This is not the kind of phone number about which there is justification to withhold. In 2005, Sierra Club led its 10-Step Campaign for Metro Accountability, the cornerstone of which was the establishment of the Riders' Advisory Council (RAC). Now, almost four years after the RAC's relevant subcommittees approved resolutions urging Metro to take actions that we are confident would make the system safer, we hope that Metro will put an end to keeping the public in the dark about how to contact the Metro Transit Police Department. Increasing public awareness of the phone number surely will increase awareness of the Department itself, and likely will help strengthen public confidence in the safety of riding Metro. Taken July 9 at approximately 4:30 p.m. by @jmellens at the Judiciary Square Metro, National Building Museum exit. Same van taken by Joe July 11 in the afternoon. The same van taken by John on the afternoon of July 12 9. 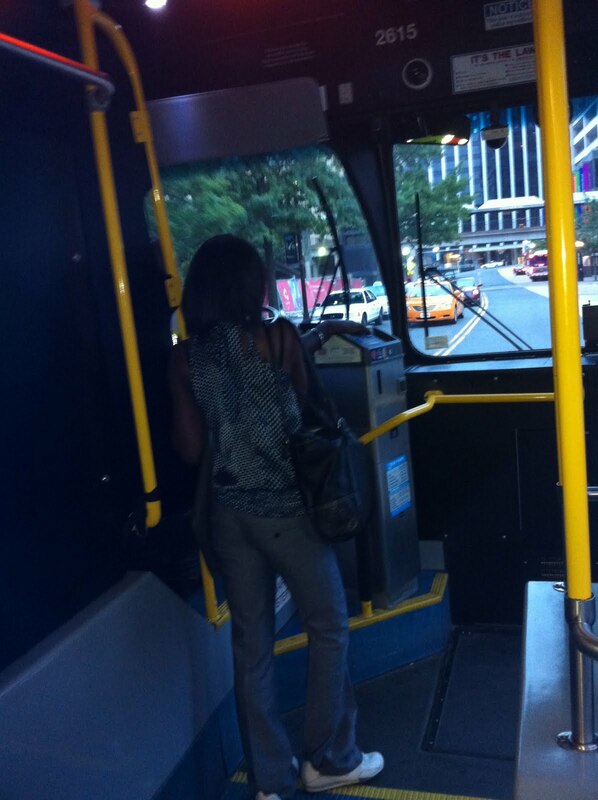 Your fare increases hard at work. It's just a lack of funding, folks. @jaredev: http://twitvid.com/ULXHF - Great way to exit #wmata Dupont circle metro stop. Some kind of fire. Most training programs end with some sort of culminating event, a crucible one must survive in order to be part of the team. 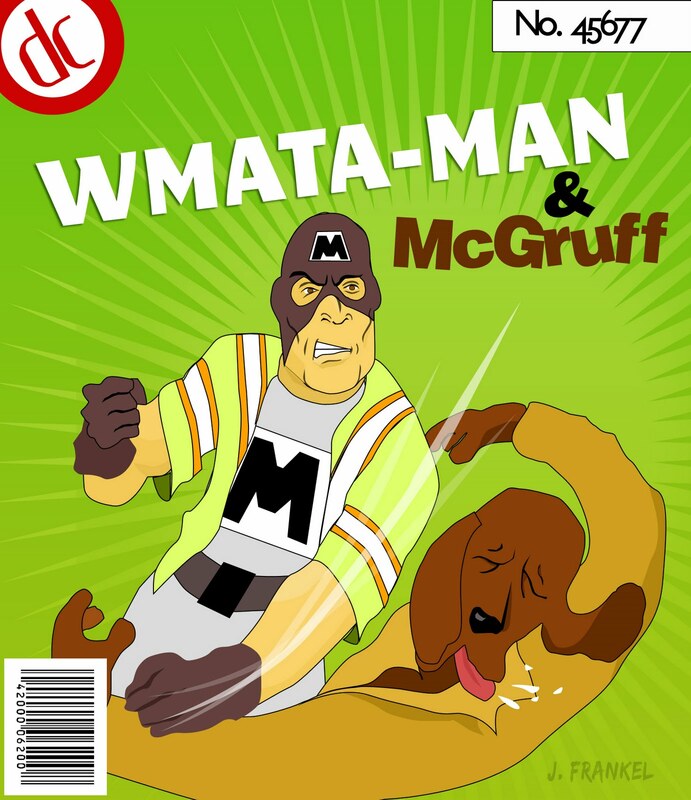 Many organizations keep the details of these rites of passage secret, but on Friday, we may have caught a glimpse into just what it takes to be initiated in the ranks of McGruff punching, prostitute soliciting, drug dealing, knife wielding, red light running, pedestrian terrorizing Metrobus drivers. 4. Drive like a bat out of hell through the city streets preferably a) terrorizing pedestrians or b) hitting a tree. Sadly, this candidate didn't quite make the cut. He was nabbed by the cops before making it back to safety. Lucky for him, he'll just have to start the training course again and hope he can complete the final task successfully next time. When riding in the front Metro car, be prepared. The helmet did not come off, and the chin strap remained fastened all the way from EFC to Farragut W., where he got off. New York tricksters sign makers created this unintentionally hilarious repetition of a classic meme, which no doubt will hit home with Orange Line riders caught up in yesterday's meltdown. 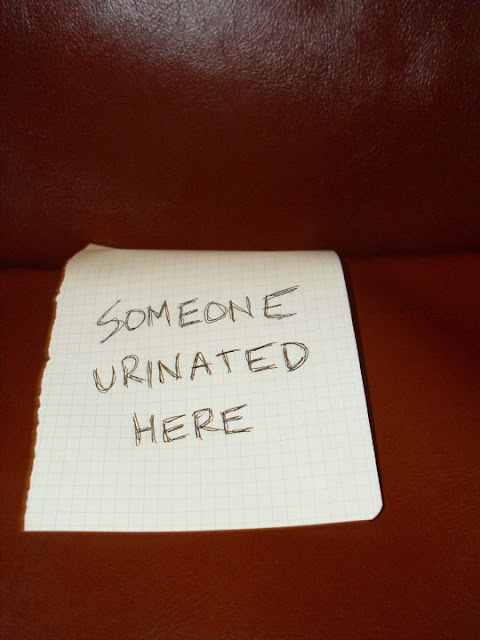 New Yorkers also came up with this classic prank. We wonder why we haven't seen anything like this from DC Metro riders. Perhaps Metro alone provides a sufficient dose of tragicomedy. Or perhaps Metro's megasuckiness stifles all creativity. I leave before rush hour and reverse commute from Judiciary Square, where I live, to Rockville, where I work. At this time, all trains go to Shady Grove, or at least they are are supposed to. Twice last week, some trains only went as far as Grosvenor, leaving us long distance travelers stranded on the platform at 6:30 a.m. watching as every single other passenger in both directions was served over and over (three trains to Glenmont to my zero Shady Grove trains). And yet, we long distance riders pay the most! The other morning, when I arrived and the sign said 20 minutes until the next train, I complained to the station manager. Her response was to shrug, turn around and close the door. During my long wait, announcements were made about Blue Line delays but never once about those of who had been stranded waiting for trains beyond Grosvenor. Running trains on time and communicating with passengers isn't a budget problem. How can they get away this? When you leave your house at 6-something in the morning, 20 minutes is everything. 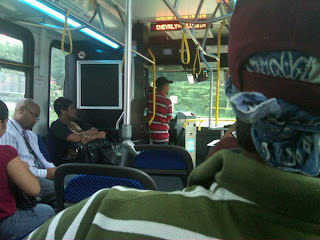 Red Line trains run to Shady Grove just as they do to Glenmont, during rush hour they are scheduled every six minutes. Every other train stops at Silver Spring and Grosvenor. If your reader has a concern or complaint, he should call our customer service department. Metro's fare structure is for the most part based on a boarding charge plus distance traveled. If you are traveling to Forest Glen, Wheaton, or Glenmont, you're paying a pretty penny for service, and only getting half as much as the folks below you. From Metro Center during rush hour (before greed-of-the-greed, pardon me, "peak-of-the-peak" was implemented), it costs $3.70 to get to Forest Glen, $4.10 to get to Wheaton, and $4.55 to get to Glenmont. For that cost, every other train terminates and returns downtown well before reaching the final three stations. Let's talk about a parity issue for a moment, here. Those of us who pay the most for Red Line service get the least amount of Red Line service. That doesn't seem a fair bargain. Add to that my belief that Metro was bluffing the whole time when it came to their threatened service cuts. They were never going to cut service, because it would have been political suicide for all the board members (even though a few of them need to commit political hara-kiri - yes, I'm looking at you, Jim Graham - and leave office). They did, however, play the public like a violin, getting people to say that they would be more than willing to pay higher fares rather than see service cut. And that gave them carte blanche to institute the second "Metro's largest-ever fare increase" in a row this week (2008's fare increase was also described as Metro's largest). So needless to say, I'm a bit annoyed. It's time to discontinue the Silver Spring turnback in regularly scheduled service. Send all the trains to Glenmont. I pay substantially more per ride than someone going to Silver Spring ($3.25 from Metro Center to Silver Spring vs. $4.55 to Glenmont), and therefore for the amount I pay, every regularly scheduled Red Line train should go there to service these riders, who spend more to fund Metro's services than someone going to Silver Spring. This is also why we need to go to a flat fare. Metro will run trains at a given headway to the outlying stations regardless of whether there are five people on the train or 500 people on the train. Likewise, they will staff all the stations and run all the utilities regardless of how many people are actually on the train. Thus it costs Metro basically the same to take someone from Metro Center to Gallery Place as it does from Metro Center to, say, Takoma, because the train will be run in service to the end of the line regardless of passenger load. Therefore, everyone should pay equally for the provision of the entire service. That also gets into the idea that transit is a public good, and therefore everyone should help pay for it. Because the best place that I could afford is way out in the suburbs doesn't mean I should be punished for it. Seriously. It's friggin' hot, and crazily, it's all too often HOTTER in a Metro car or station than it is outside. How do you beat the heat on Metro? We'll give away a couple tips that seem to work. First, If you're brave enough to ride in the front car, they usually have AC. The only reason we can think why is that the operator is in there. This scheme has only failed once. 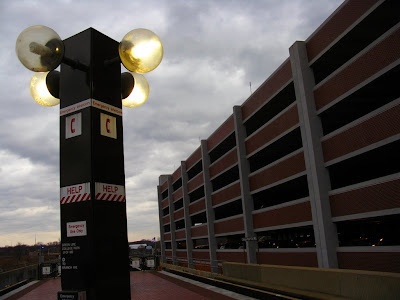 Secondly, our home station of East Falls Church is outside, so there's no chilling going on at all, but we have noticed that there is often a decent draft flowing upward through the large openings between the street level and the platform above. When waiting for 12 minutes for a train during rush hour, we often lean into the opening for just a touch of relief. 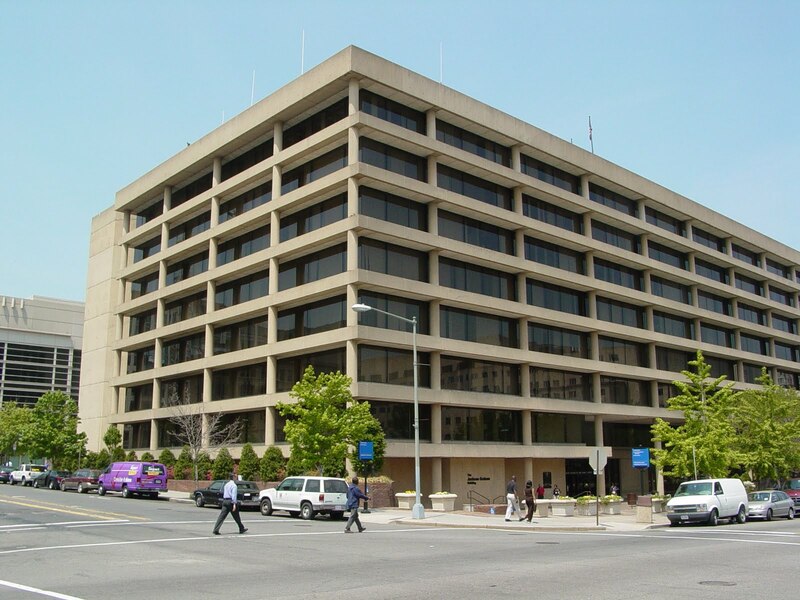 Our other home station, Federal Center SW, always seems to be relatively cool. We know this is not the case for all stations. What are some stations to avoid? If it stays this hot for a while you'll probably see fewer heat kinks, but if it cools off and then heats up again you'll have more. It's the intense shifts in ambient temperature that do it, more so than the extreme temps in either direction. 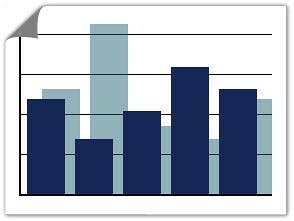 Slow, gradual shifts in ambient temperature over time result in fewer heat kinks or rail breaks. When it eventually cools off, if they've cut heat-kinked rail and replaced it, you could get that new segment contracting in a cold snap and have the problem in reverse. Outdoor light rail systems in California, like Santa Clara, or Valley Metro in Phoenix, are plagued with these problems; all they can do is make sure they buy good heat-treated rail and conduct aggressive track inspections when the weather starts shifting. Finally, if all else fails, you might want to try this drinking game courtesy of the Washingtina blog. Sunday's Metro death appears to have been caused when the man likely "fell accidentally onto the tracks and was not there intentionally," according to Metro. More about the victim here. The whole McGruff incident still makes us both laugh and cry. You couldn't make such a preposterous story up. It's even more unimaginable that Shawn Brim could get his job back! We wanted to follow up with Metro about just exactly what it takes to become a WMATA man and how many people apply for open positions as bus drivers. There's not exactly a dearth of applicants. Metro said they can receive up to 2,000 applications for one bus driver position. Turnover must be very high since they bring in 24 drivers every 6 weeks for an 8-week training course before they hit the streets. According to Metro, Brim's "retraining" consisted of "everything he learned in the basic bus operator's course." Hope it sticks this time! This position is responsible for the safe and courteous operation of a public transit bus through assigned scheduled routes. The incumbent must adhere to all safety and traffic rules, regulations, policies, and procedures to ensure the well being of Metro customers, employees, self, and the general public. Additionally, an individual in this role provides schedule and fare information, collects fares, and ensures the safe boarding and alighting of all passengers. The individual in this role must demonstrate a professional, pleasant, courteous and helpful demeanor towards the public at all times and must be able to maintain composure in stressful situations. Ability to deliver stellar customer service and communicate effectively and courteously even under adverse circumstances. Graphic by Josh Frankel, a graphic/web designer in D.C. He can be reached for projects at http://badsushidesign.com/. 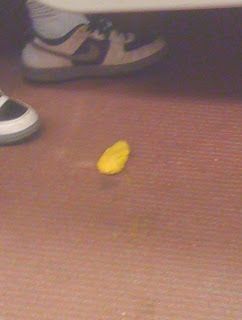 Today on Metro, I saw someone's discarded fake nails. Thanks Jared! 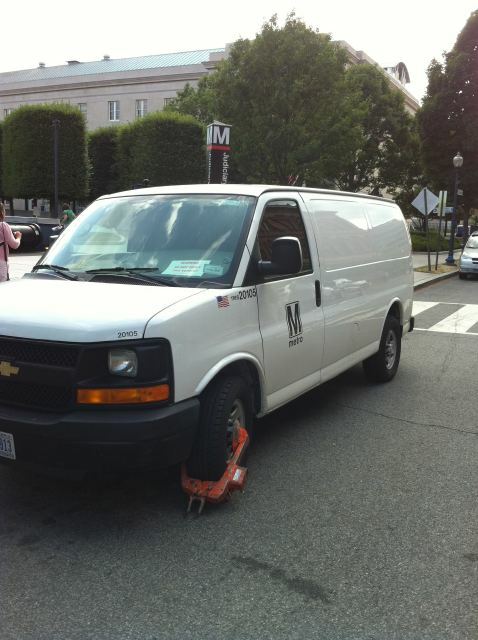 Several readers asked why they'd been charged old fares on Tuesday. The issue seemed particularly acute for those starting from Grosvenor. Here's Metro's explanation. In response to the Red Line incident when the man jumped onto the tracks on Monday evening, June 28, at Grosvenor-Strathmore Metrorail station, we instituted "Zero Fare," which allows customers to exit the same station they just entered without paying a fare. This feature allows customers to exit without a fare being assessed if they determine that they would prefer to find another way to get to their destination. It does not affect any other fares. This is a feature that has been used several times in the past. On Monday evening when the Grosvenor incident was cleared and the fare gates were returned to normal, the fare gates defaulted to the FY10 fare table instead of the new FY11 fares. As a result, customers were charged these lower fares from 10 p.m., June 28, until 10:15 a.m., June 29, when the proper fare tables were restored. Staff is currently investigating the cause of the problem.